Rain is cold, rain boots are not warm, fleece is soft and warm. Can you see where I am going with this? 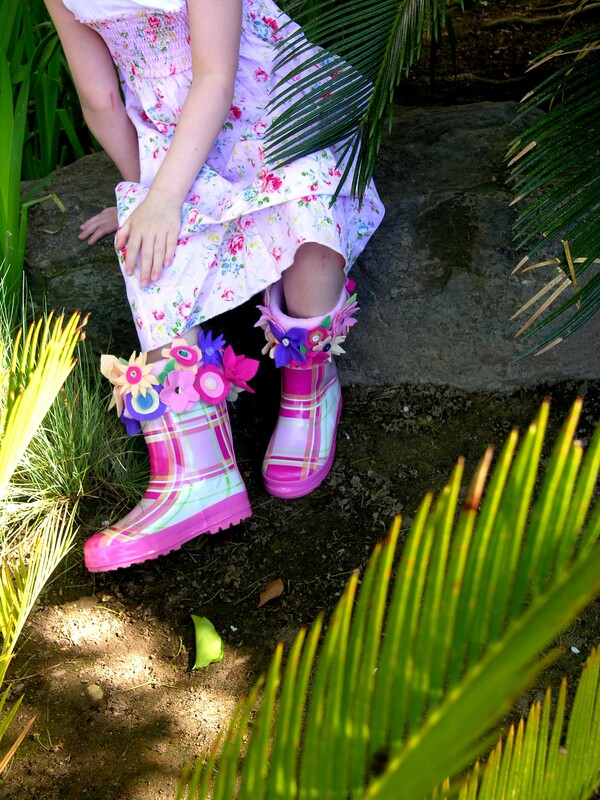 Having just bought my family their first sets of rain boots I found it odd that while they are indispensable in certain climates they are oddly not made for warmth. As they say necessity is the mother of invention. 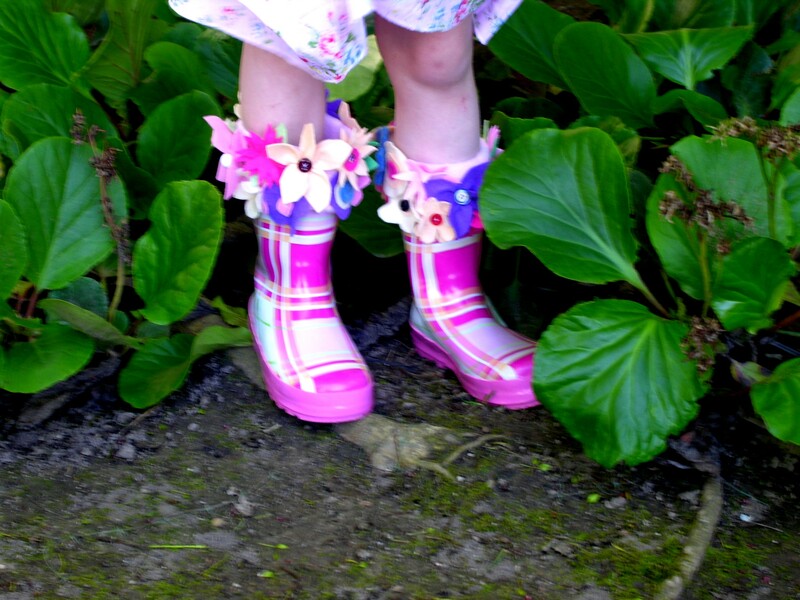 These little rain boot liners warm little (or big) tootsies right up and remind us what all that rain is for. 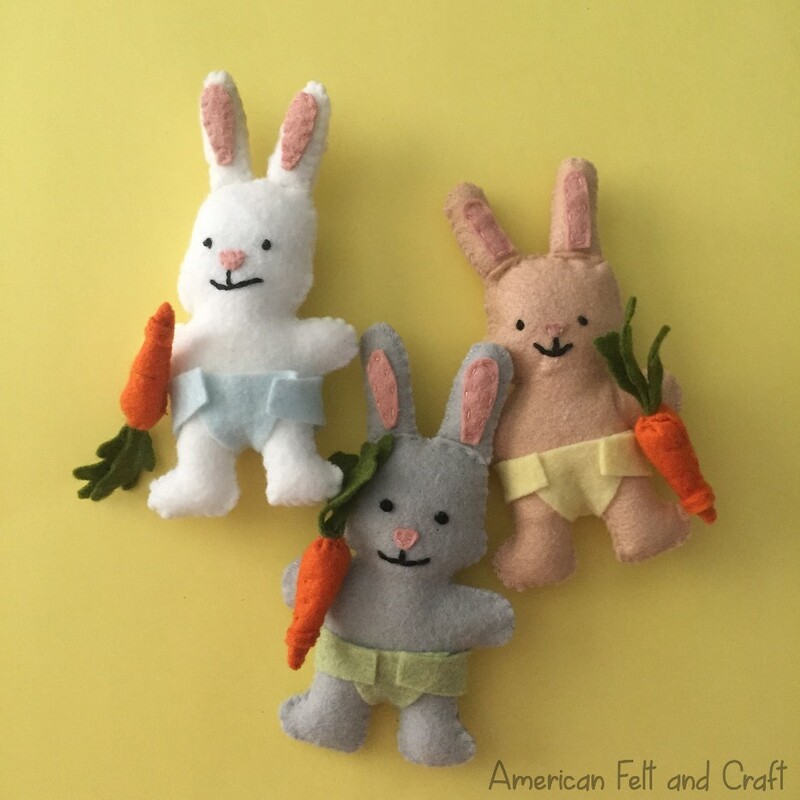 So it’s simply a bonus that they are quick and easy to make AND they use up all those little scraps of felt you have been squirreling away all winter! 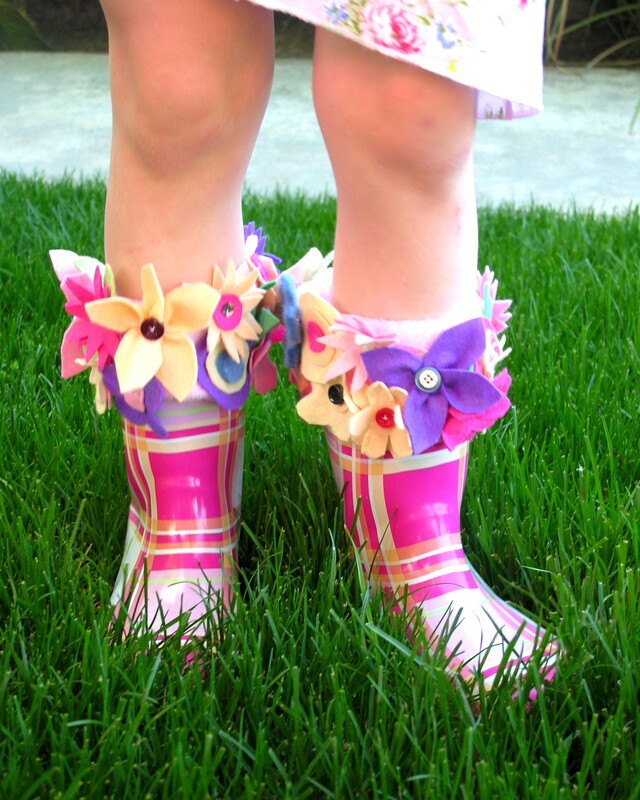 Should you find a rainy afternoon to whip up a pair or two of these rain boot liners please remember to send us pictures! 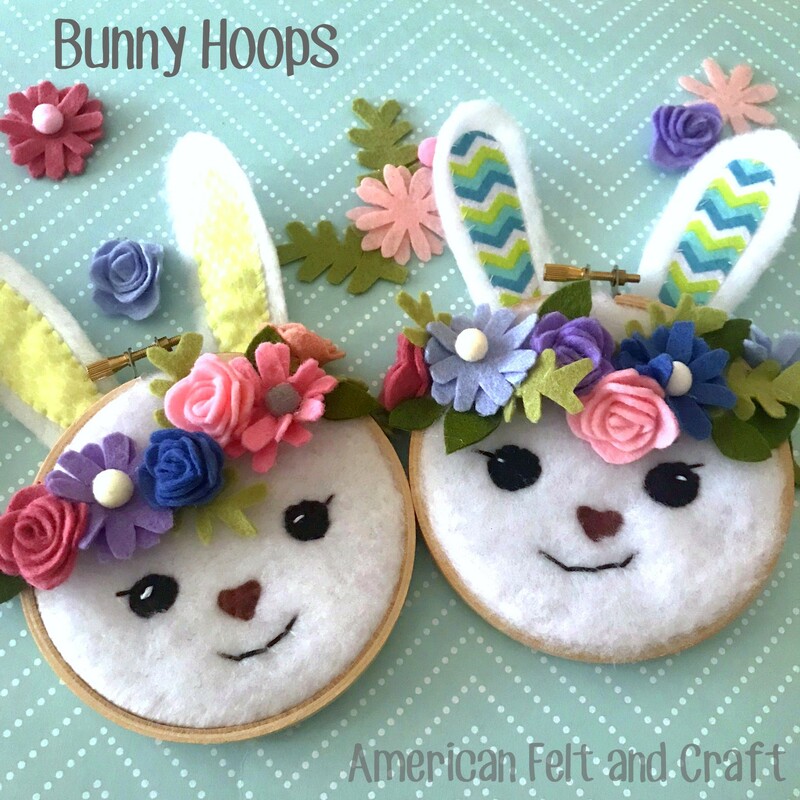 We would LOVE to see them and send you a thank you coupon for your next order from our store. 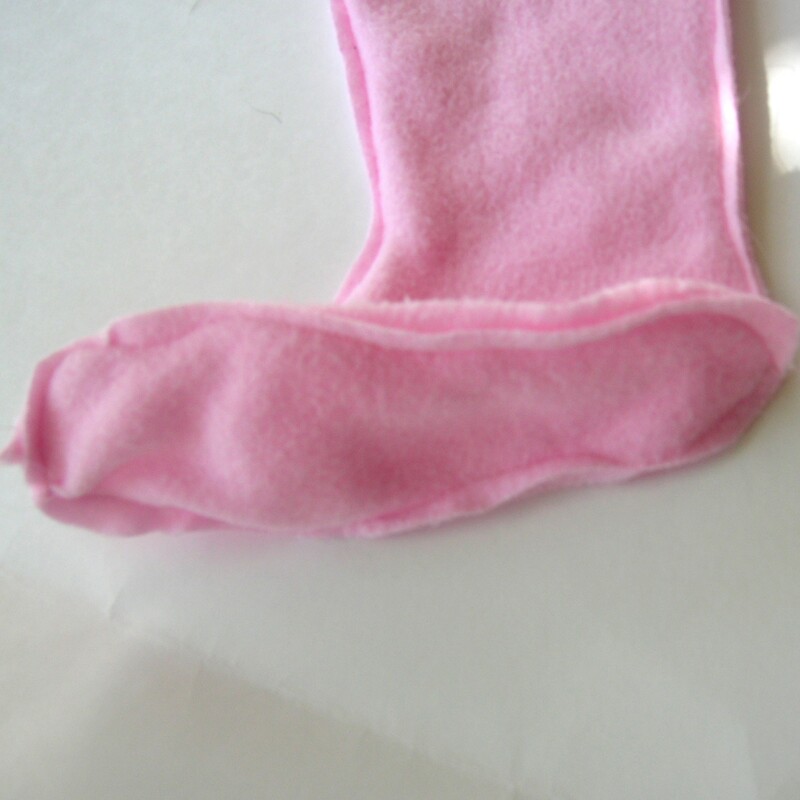 Fleece – amount depends on the size of the rain boots you are creating liners for, I used less than 1/2 a yard for these children’s size boots. 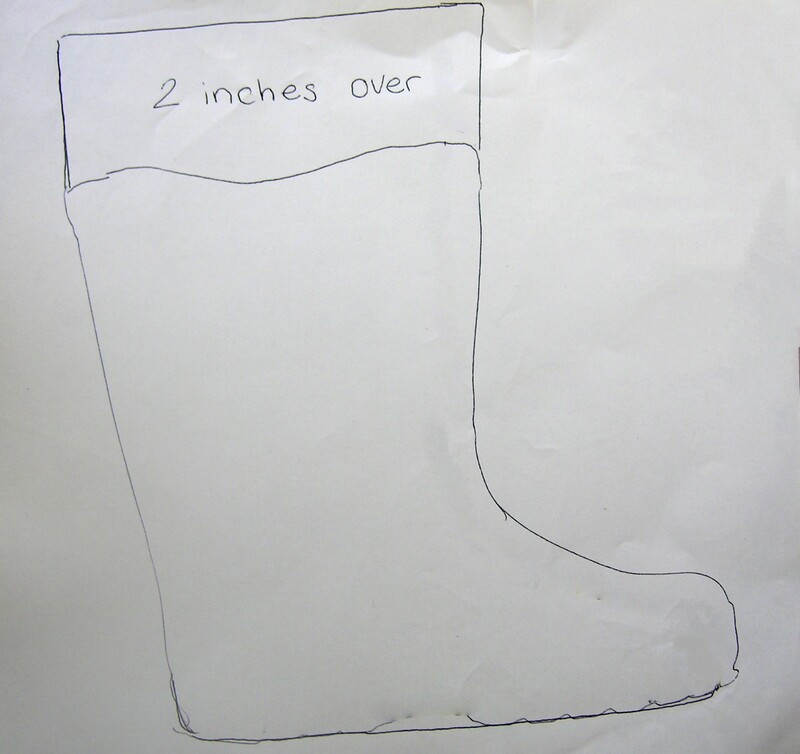 Trace your boot and sole onto paper. 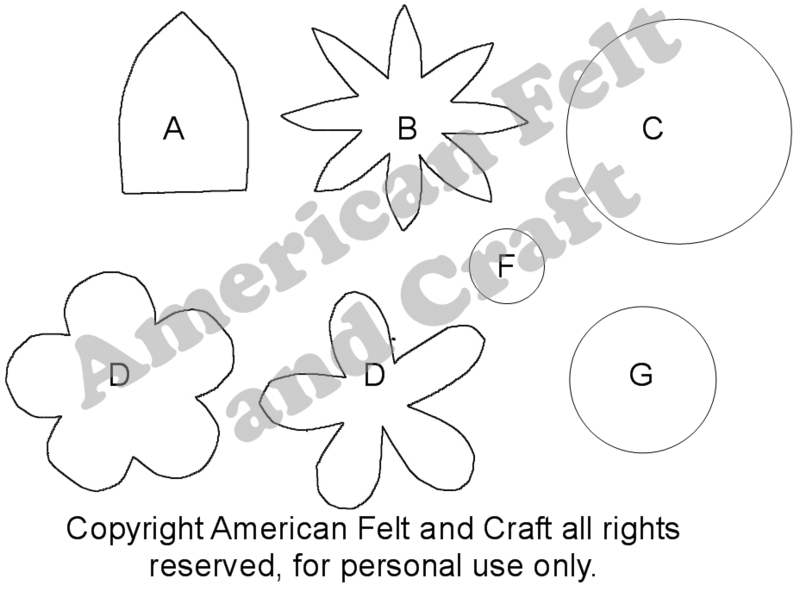 You will only need to trace one boot and sole to create a template. 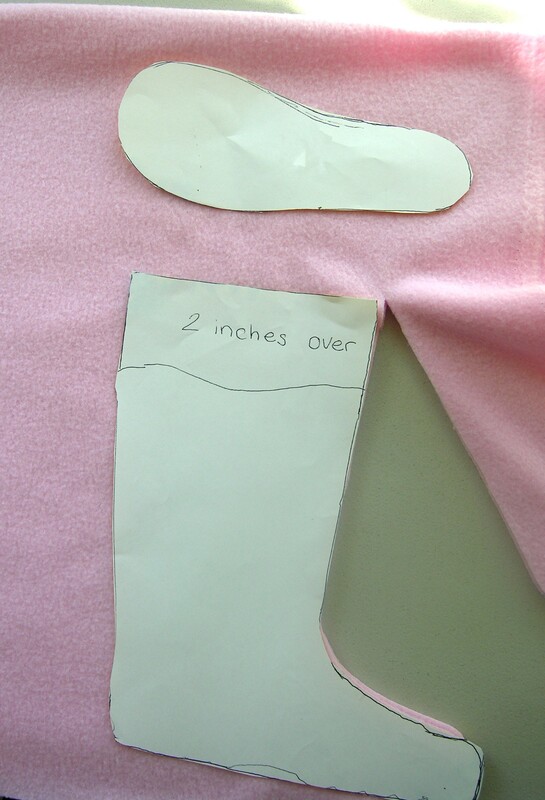 Add 2 inches to the top of your boot template and straighten out the bottom edge, leave other dimensions as is, this will allow you enough room for the seams. 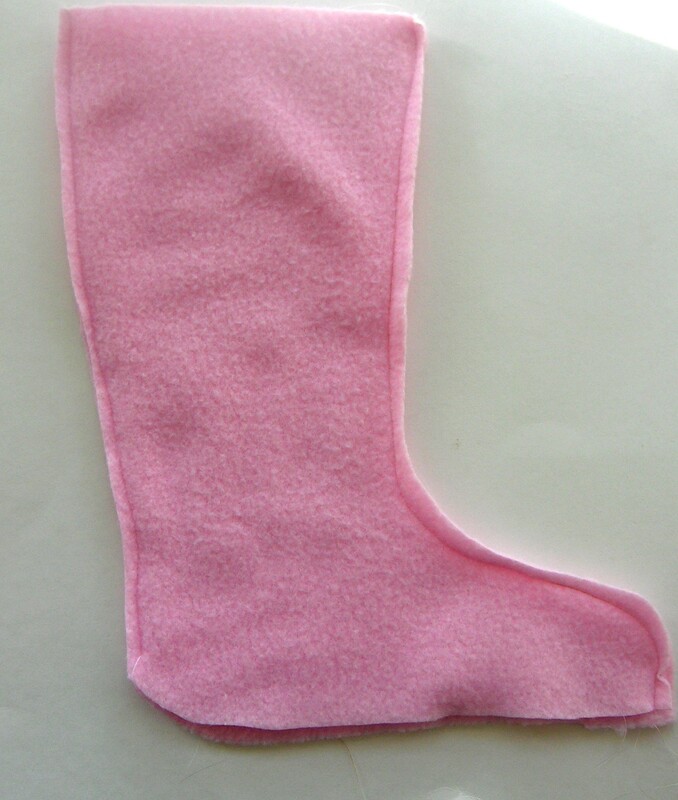 Cut out the templates from fleece, you will need 4 boot pieces and 2 sole pieces. 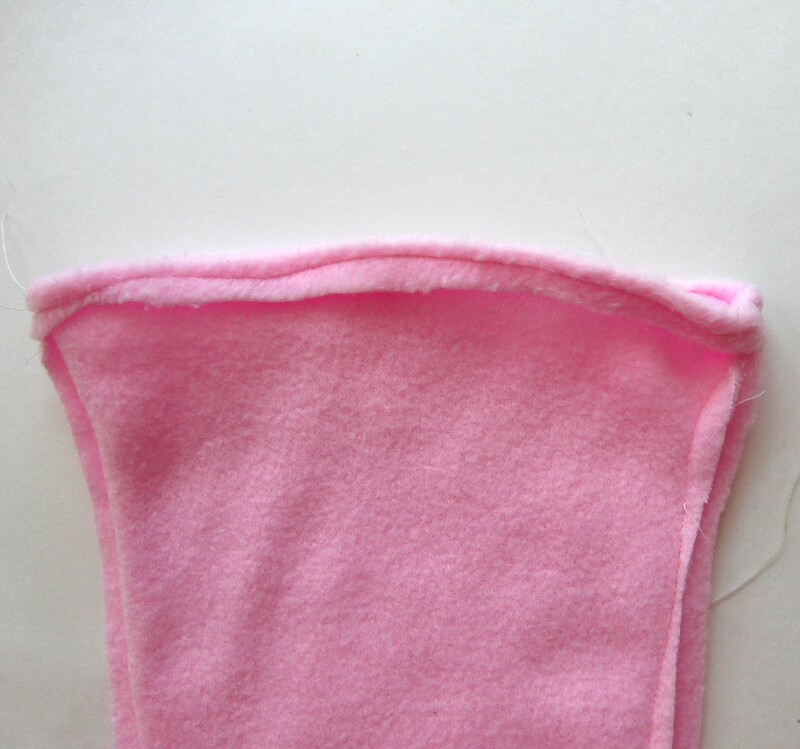 Using a sewing machine stitch around sides of boot leaving the tops and bottoms open. 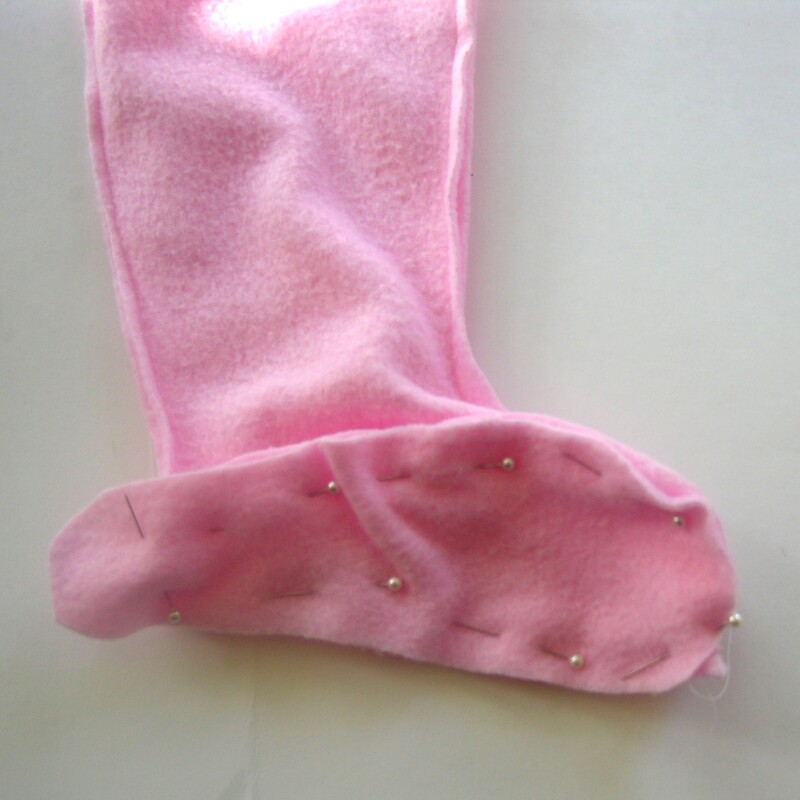 Pin sole piece into place, be sure to flip the direction of the sole for the other boot so feet will fit comfortably. 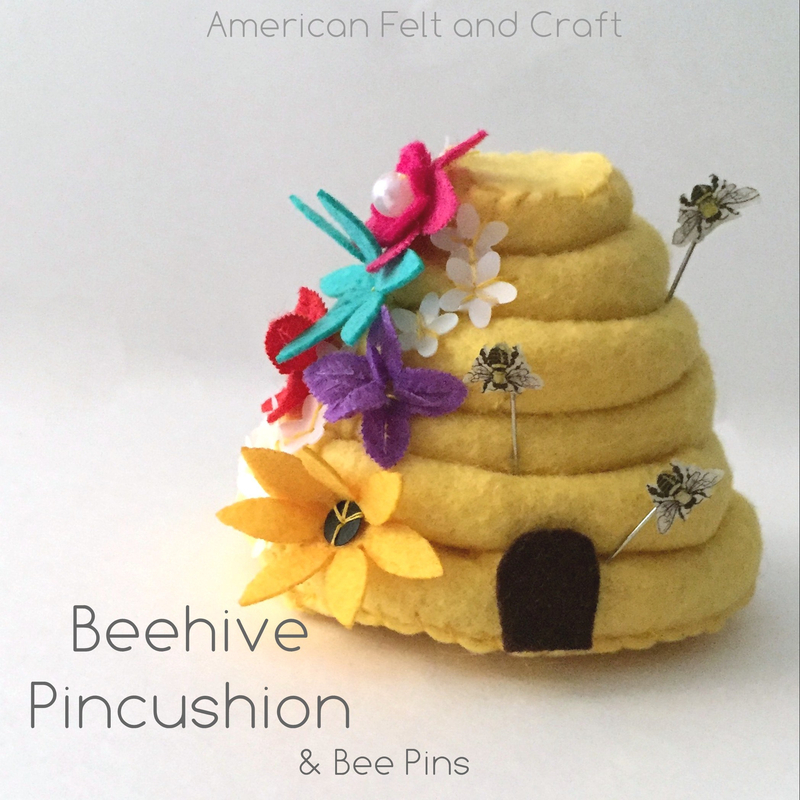 Sew into place as shown. 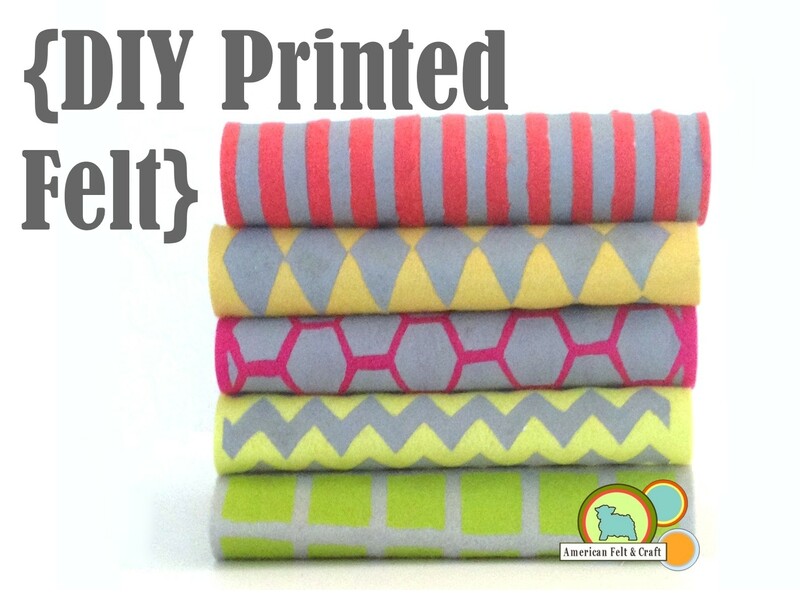 Fold top over 1/8″ and sew. DO NOT REVERSE BOOT LINERS: Place your boot liners inside the boots, pushing down all the way to insure they sit correctly. Lightly mark the line where the liner folds over. 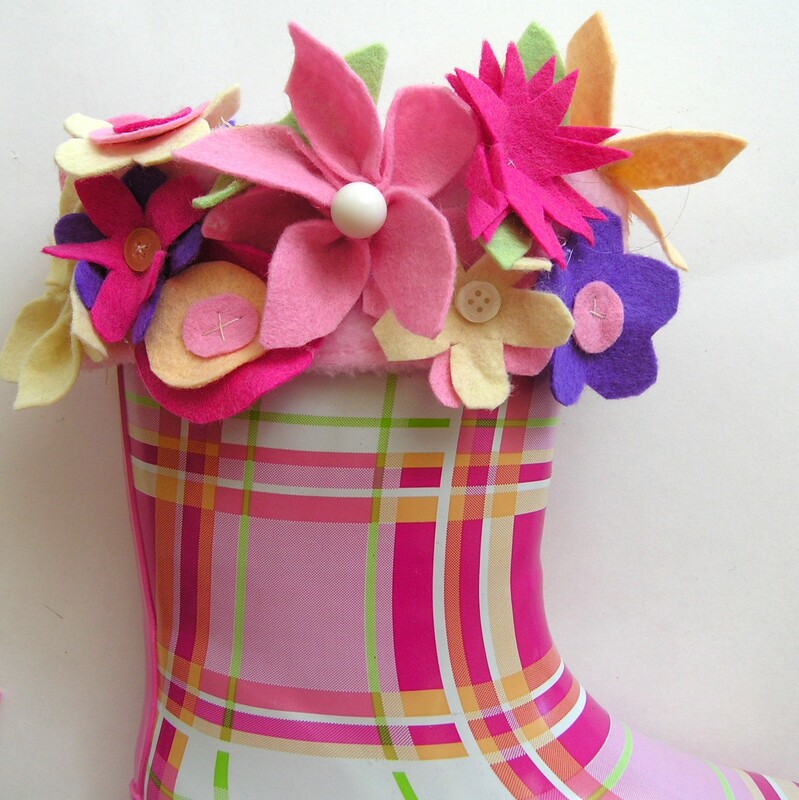 Using the template provided below cut out flowers for your boot liners. 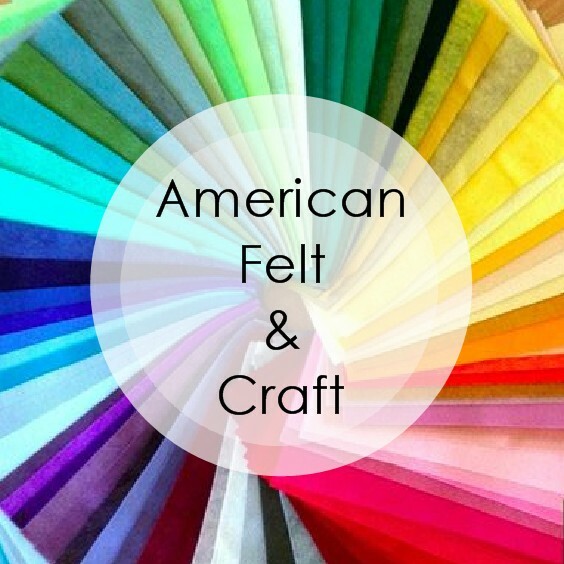 The amount you will need depends on the size of your boots but for these I cut 2 of each template in each color felt. 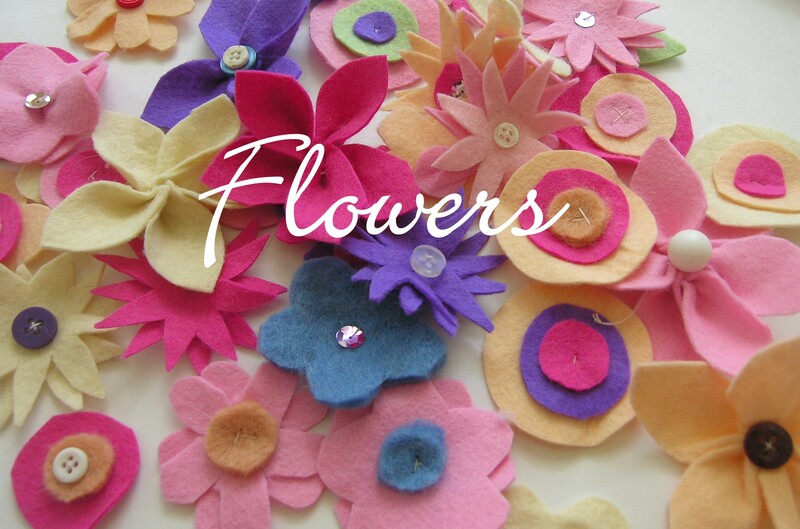 Cut 4-8 petals (template A) for each flower you are making. 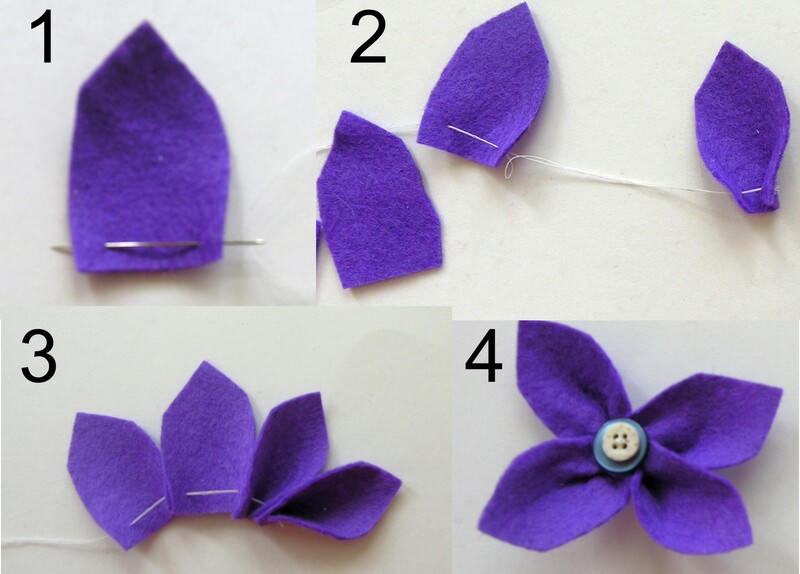 Step 1: thread needle through 1 petal piece as shown. 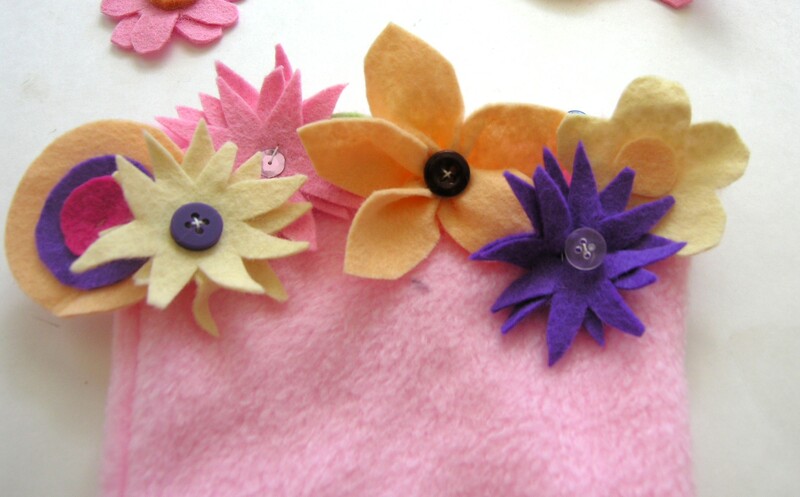 Step 3: Pull tightly and bring threaded needle back through the first petal creating a circle with your thread. 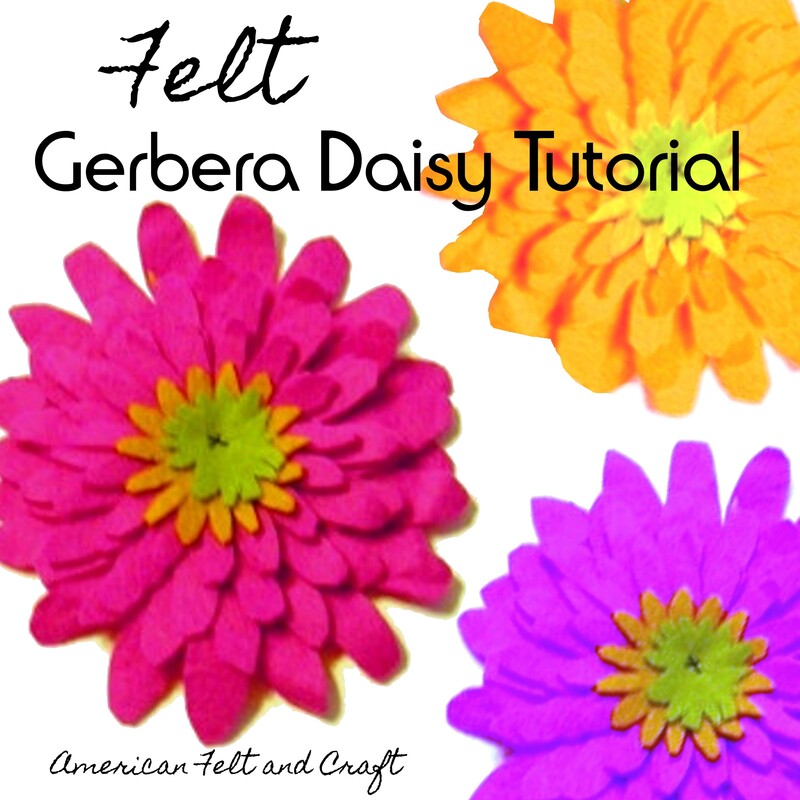 Step 4: Pull tightly and knot, add center with buttons, rhinestones, or sequins. 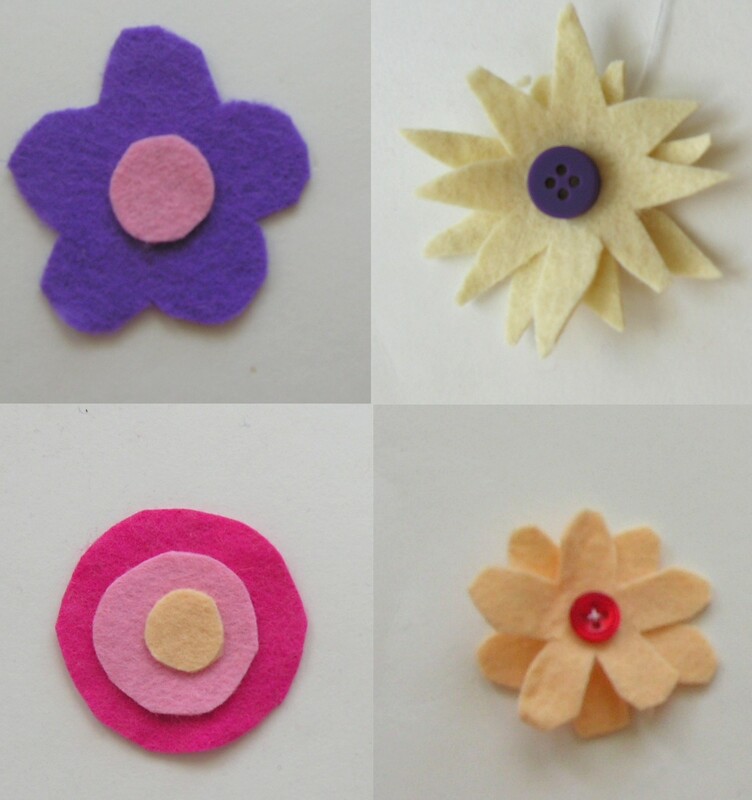 Remaining flowers 2-5 are assembled by stacking templates together. 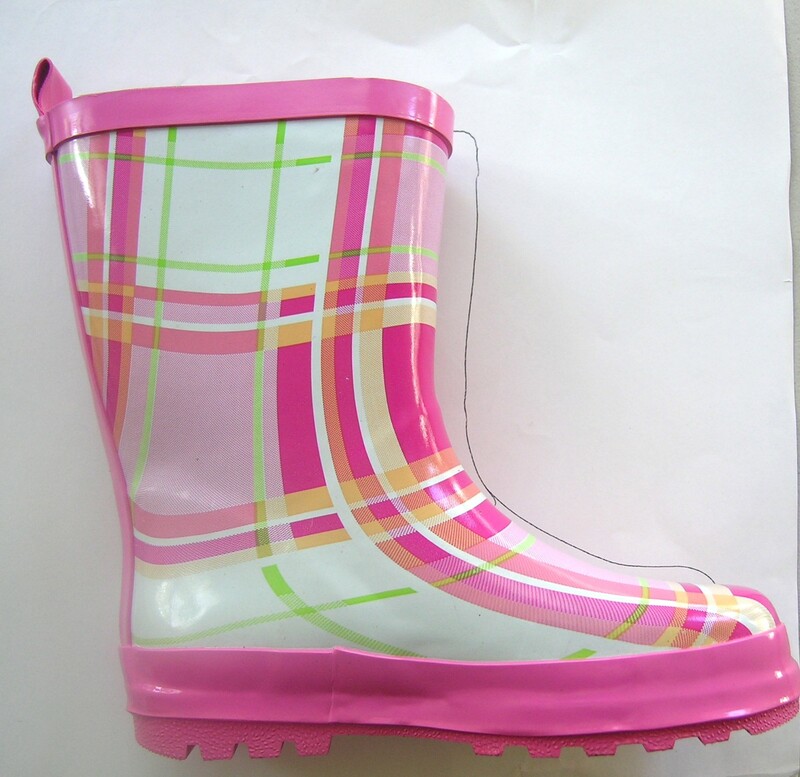 Turn rain boot liner inside out and place inside your rain boots. 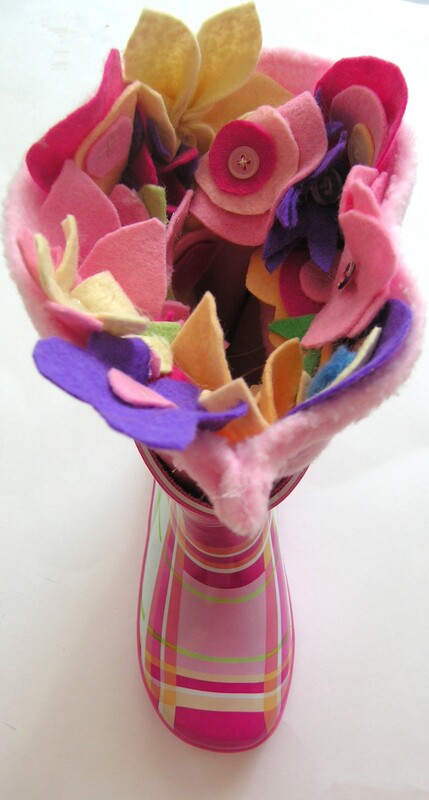 Flip top over so flowers show. 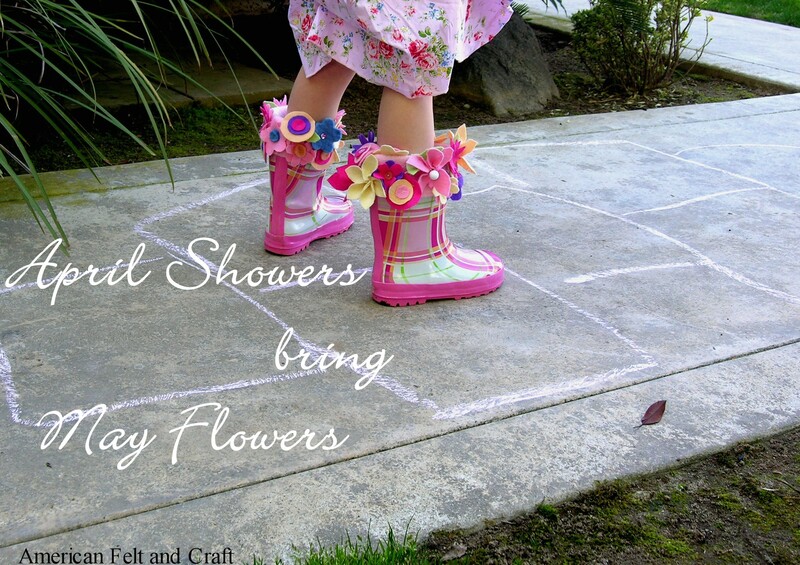 Repeat with second rain boot liner. All images copyright American Felt and Craft all rights reserved for personal use only. Great idea so cute, I wish I had some of these when I lived in Seattle.